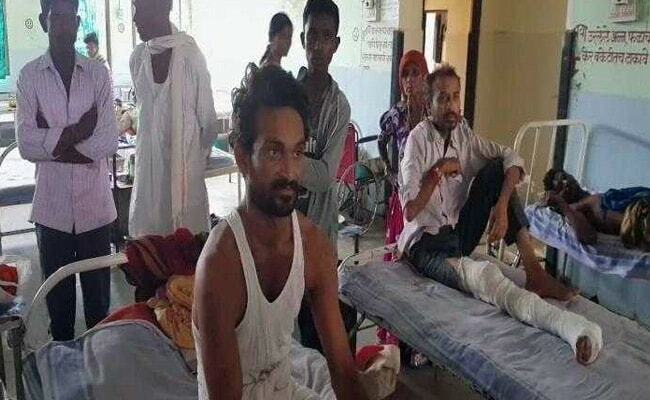 Two have been admitted to GMC Hospital, while 12 others are in the government rural hospitals, said Resident Deputy Collector of Yavatmal Narendra Fulzele. Yavatmal: Fourteen new patients of pesticide poisoning were admitted in various hospitals of the district today, said a senior district official. Additional Chief Secretary Sudheer Shrivastav, who is heading the probe panel to investigate deaths due to pesticide poisoning, visited village Sawargad of Kalamb tehsil today and interacted with farmers and farm labourers. He left for Mumbai later in the day. On Saturday Mr Shrivastav held a joint meeting of the officers of various departments and directed them to be alert and ensure that such incidents are not repeated again. According to the Superintendent of Police M Rajkumar, two new FIRs have been filed against Krishi Kendra owners- one in Ladkhed of Darwha and one in Mukutben which takes the number of FIRs so far filed to seven. NCP leader Dhanajay Munde who visited the GMC Hospital, declared Rs 10,000 assistance to the families of the 19 deceased on behalf of the party. He demanded for Rs 10 lakh compensation to each deceased from the government.